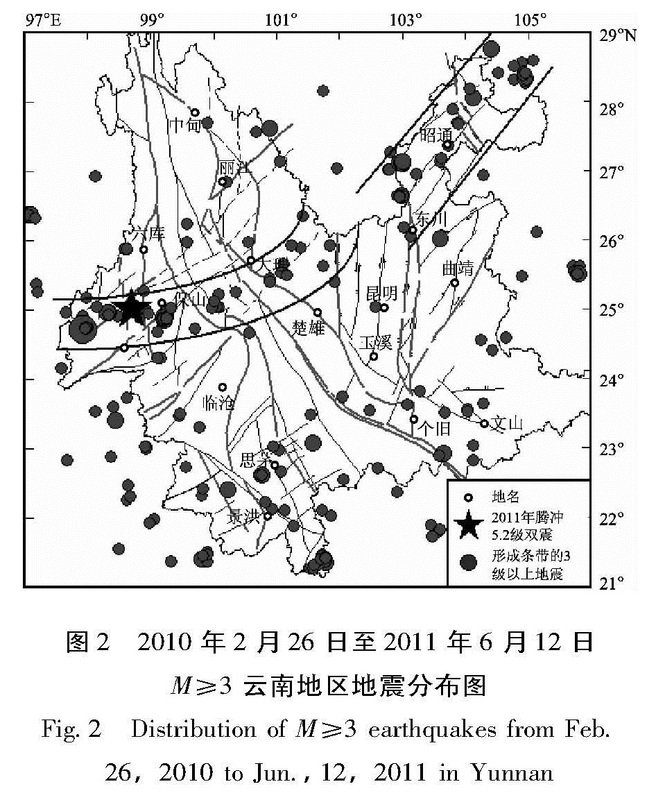 There exited medium,short,impending term anomaly in the seismic activity,underground fluid precursors and comprehensive prediction scheme for short-impending term earthquake dynamic tacking in the experimental site of the western Yunnan before Tengchong M5.2 double earthquakes on Jun.20 and Aug.9,2011. 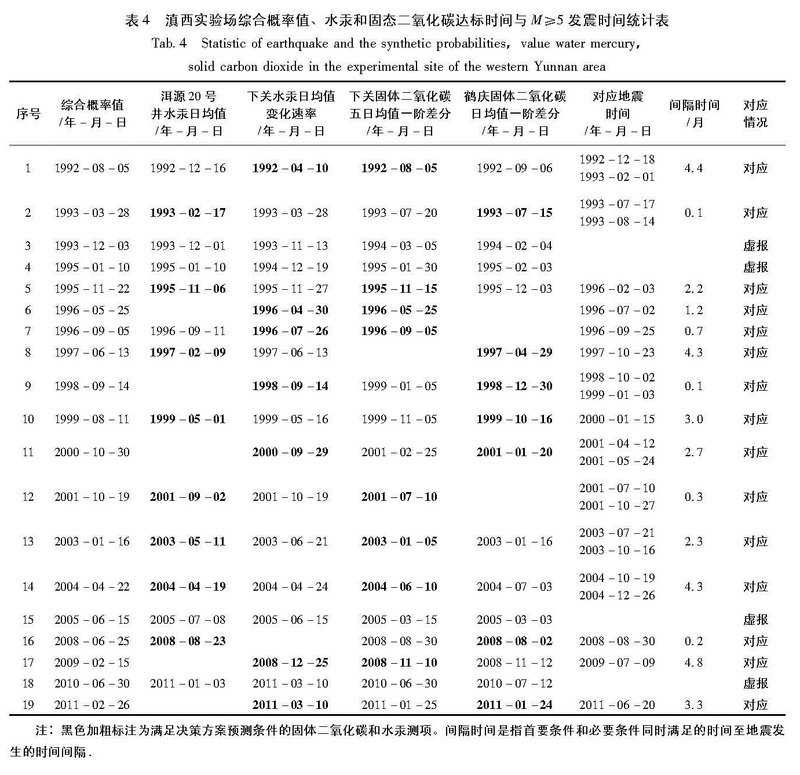 Seismic activities which included low frequency activity of M≥5.0 earthquakes,seismic belt activity of M≥3.0 earthquakes and precursory earthquake swarm activity of M≥4.0 earthquakes have the medium,short,impending term anomalies in west Yunnan. 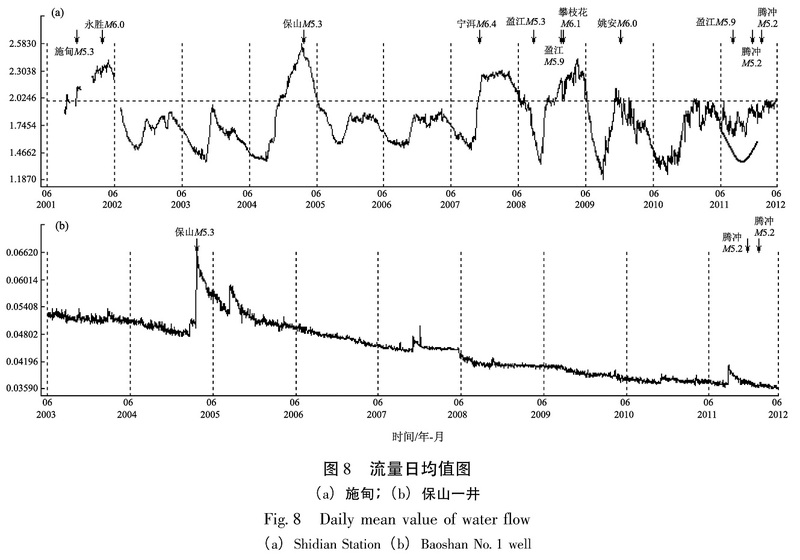 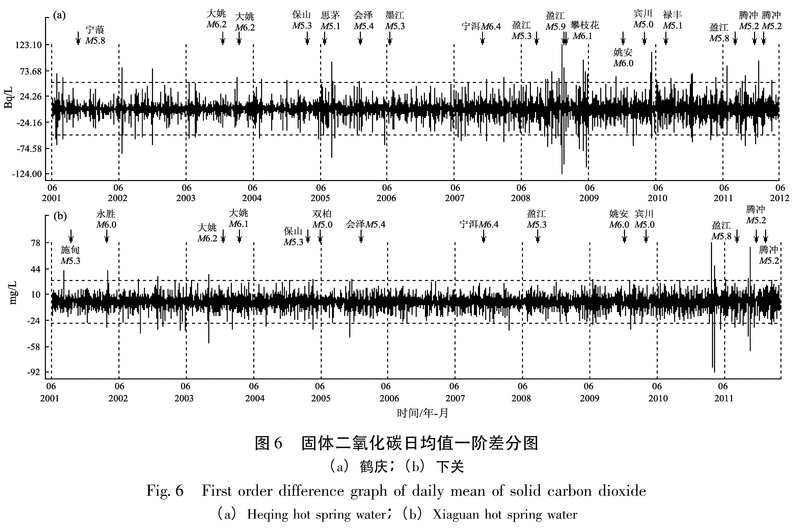 Underground fluid precursors such as water Rn,water Hg,CO2 and flow of water also appeared short-impending term anomaly,accordingly,there exited medium,short,impending term anomalies in the synthetic prediction scheme of short-impending dynamic tracking in the experimental site of the western Yunnan. 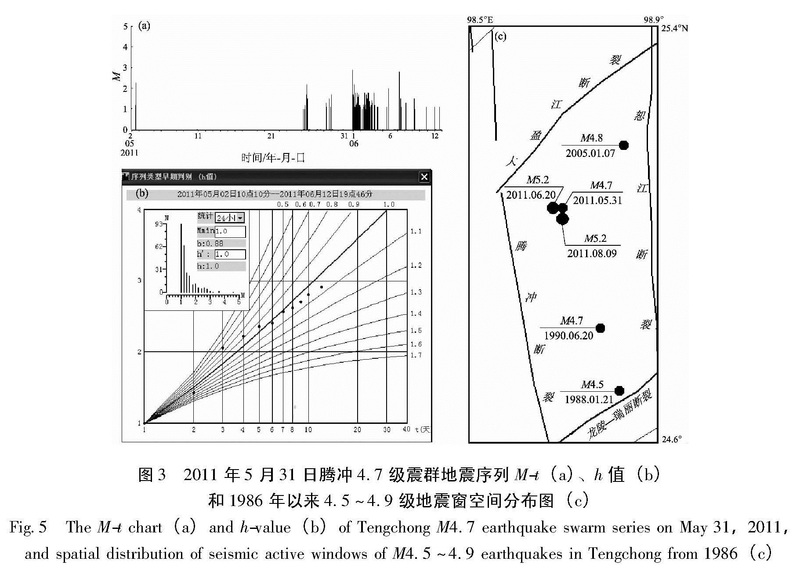 Under the guidance of gradual prediction idea in long,medium,short,impending term,we comprehensively analyzed short-impending term anomaly approaching with time step by step,and filled in short-impending term prediction card on Jun.16,2011 to made an accurate short-term prediction(including three elements of earthquake)for Tengchong M5.2 double earthquakes on Jun.20 and Aug.9,2011. 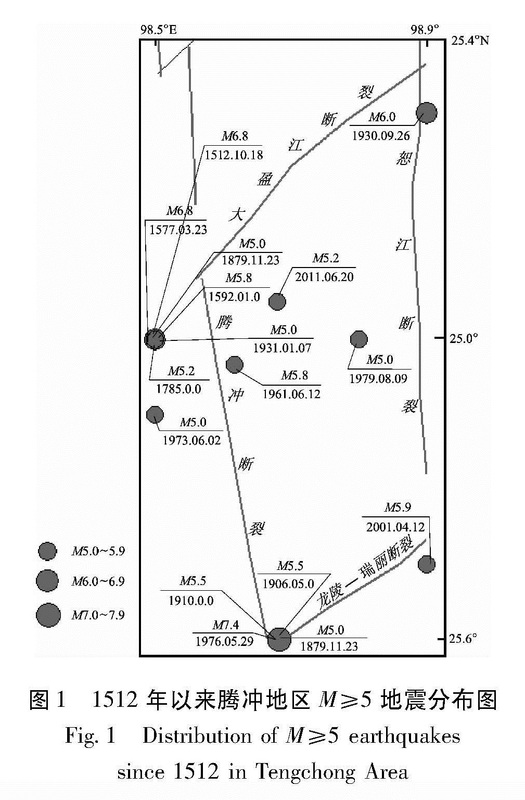 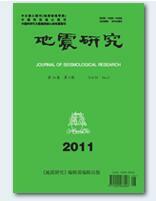 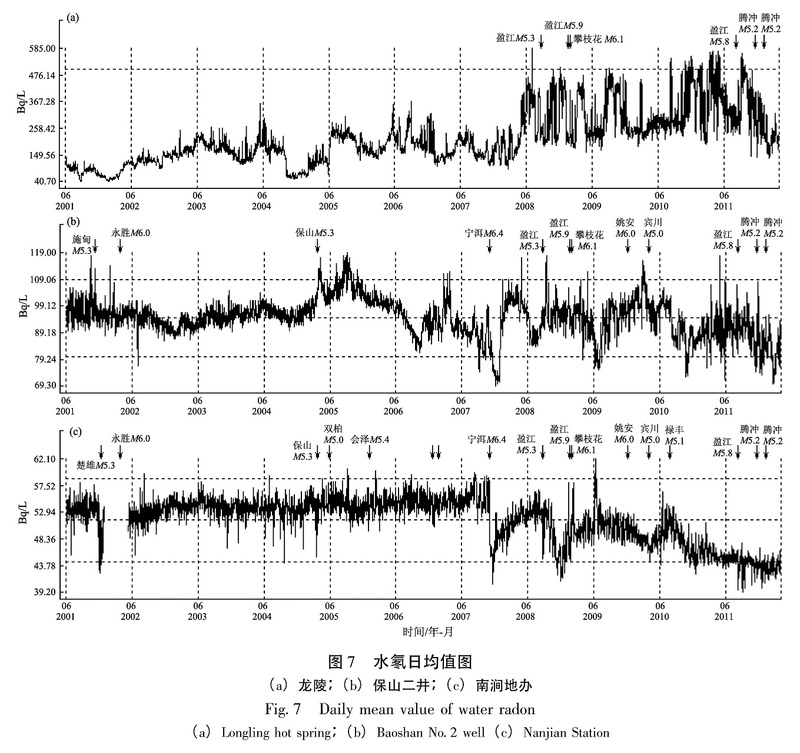 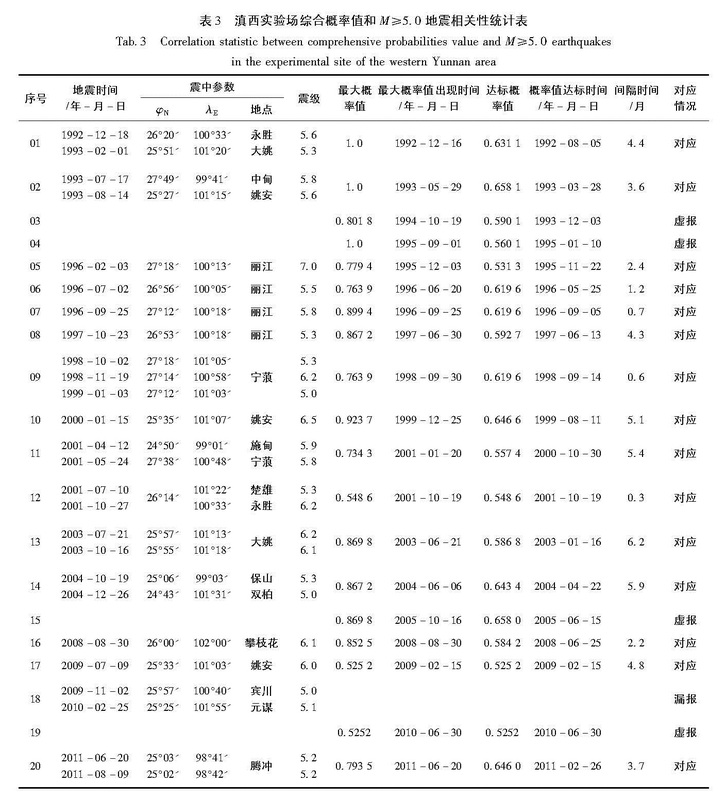 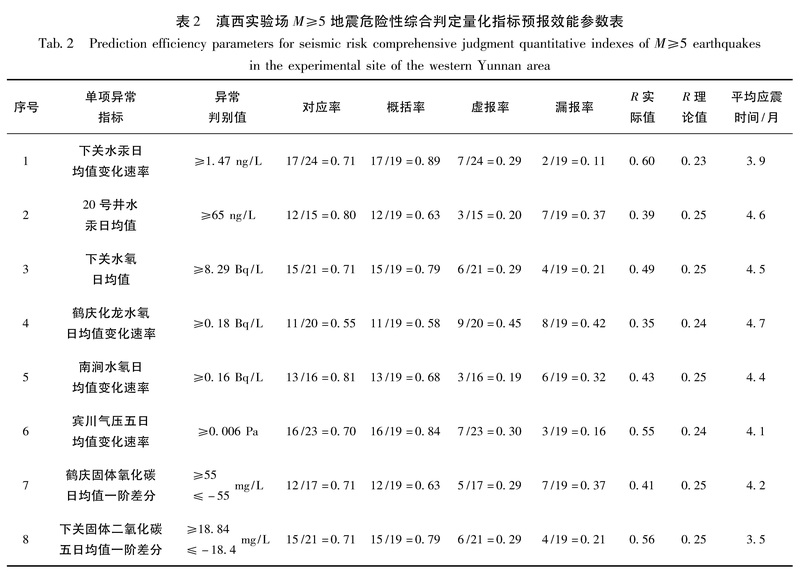 石绍先,程万正.2004.Anomalies of Precursory Group and the Grouped Strong Earthquakes in Sichuan-Yunnan Region[J].中国地震研究:英文版,18(4):348-356.